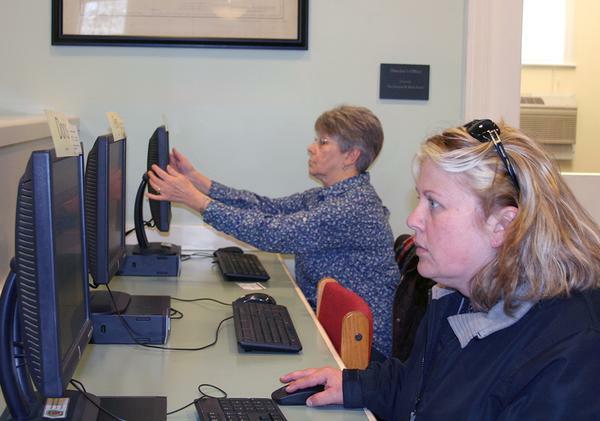 Sarah Cole (in forefront) signs up for computer and Internet use at the Blue Hill Public Library on February 25, as does Jane Kidder, a librarian visitng Blue Hill from Gray Public Library. 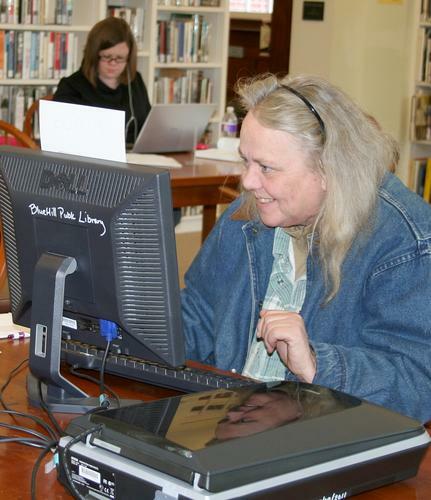 Alison Allen uses a public computer at the Blue Hill Public Library for research on February 25, while Katie Harriman takes advantage of the wireless service on her laptop. From left, Stephen Foster and Malcom Herrick avail themselves of the Blue Hill Public Library’s available technology—specifically its wireless services—on February 25.